If you’re about to have your first root canal treatment, you might be feeling pretty apprehensive about the whole thing, especially given all the stories floating around. 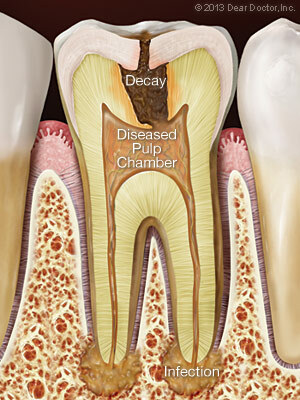 Well, don’t worry — all will be revealed in this step-by-step walk-through of root canal treatment. Knowing what will happen ahead of time is more than half the battle; you will soon learn that it really is much ado about nothing. 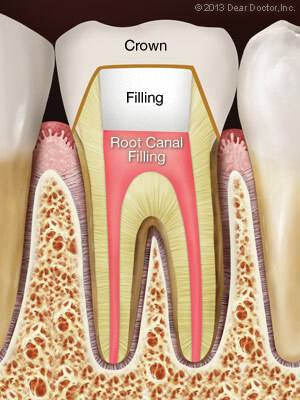 So let’s start by dispelling a common myth: Root canal treatment doesn’t cause pain — it relieves it! I have found that people who are nervous tend to lack information about endodontic (root canal) treatment; knowledge gives them the power to understand what’s to come and to eliminate their fears. I hope that this step-by-step explanation will alleviate any apprehension. 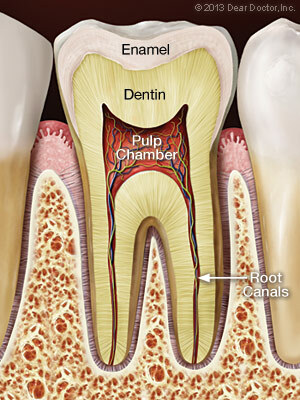 Root canal treatment really does relieve pain, not cause it — and saves teeth.